I spent countless hours reading to my daughter and showing her by example how joyful reading can be. She is now what I call a joyful 21st century reader. She reads eBooks while exercising on the treadmill. I still sit with my hardcopy book on the couch because I need to touch the pages. 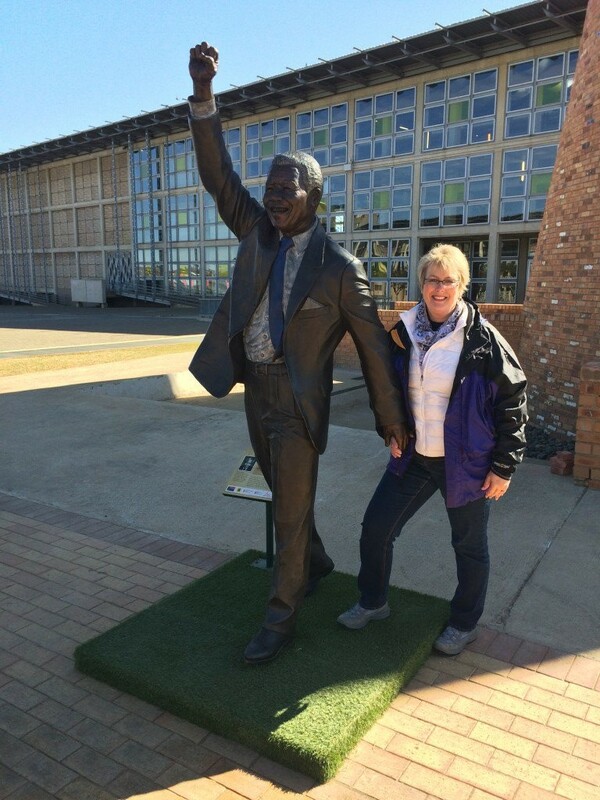 What we have in common is experiences with reading because it’s a valued part of our family’s culture.One of the greatest trips of my life ended a week ago when I returned from a three week trip visiting our Books to Africa partnership schools in South Africa. Adjectives like amazing, extraordinary and life-changing only begin to describe my reaction to this experience. Instead of searching for more descriptive words, I thought I’d list my top 10 takeaways of my literacy trip. 1. South African people are generous and caring. When I began planning this trip from home, my partner teachers quickly stepped in with ideas of where to stay and what to do. Once I landed on South African soil, I was overwhelmed by the generosity and thoughtfulness of everyone I met. From the owners of the guest lodges where I stayed to the teachers who took care of me – everyone stepped way beyond the boundaries of being nice. The side trips to Soweto and the Lion Park, the authentic dinners in teachers’ homes, the trip to see the Natal Midlands and Nelson Mandela’s Capture site, the visit to the Indian Market and beach front in Durban and the extraordinary weekend at the game park each contributed to making my experience epic and came from the generosity of those incredible teachers. 2. Students are the same throughout the world. When I visited each school, I thought the same thing. The only thing that separates students in South Africa with ones in the US is geography and circumstances. No matter where I went, I found students who wanted to learn. They listened to stories or watched book trailers with the same enthusiasm as my students at home. I think actually I saw more students interested in doing their best school than students at home because of their difficult circumstances. Students who live in extreme poverty know education is their key to a better life. 3. Teachers deserve medals for their efforts. 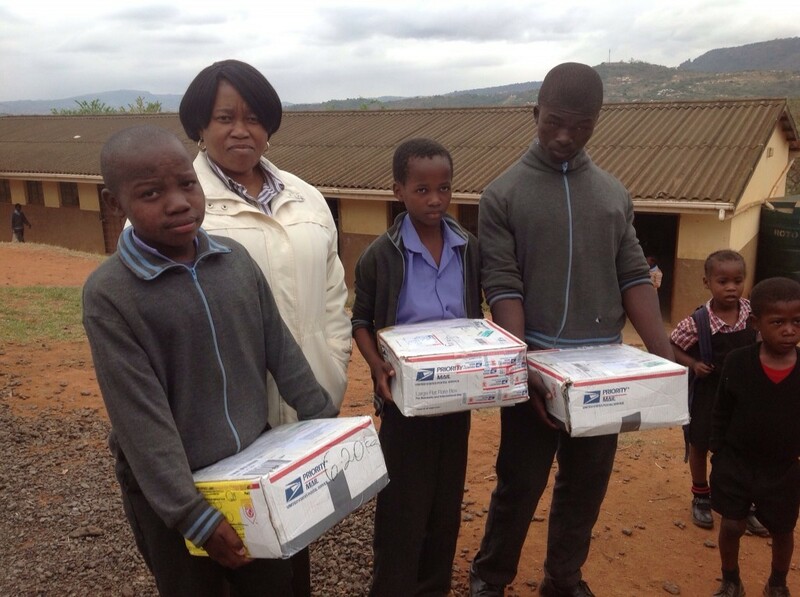 I visited two very impoverished schools in South Africa – one in the Limpopo Province and the other in Kwa-Zulu Natal. Teachers in both schools handle overcrowded classrooms on a daily basis. Here we complain bitterly when our class sizes reach 30-35. There I taught in classrooms where the average was 60 students per classroom. One class had 78 children squeezed into a room build for 30 students. How do you maintain control, teach effectively and find the time to assess all these children? How do you know your students as unique individuals when they are one in 60? I’m still looking for the answer to that question. 4. Inequality of school conditions is astounding. I wish I could say it didn’t exist, but from my experience I saw a huge discrepancy between the conditions of schools in town and in rural townships. Apartheid has been over since 1994, but this country is divided into two parts -those with and those without. Schools in rural areas have old buildings with broken windows and floors with holes you have to side-step to get inside the classroom. In the city I saw schools with interactive whiteboards and large inside lunchrooms. In the rural countryside, teachers still use chalkboards and the support staff cook lunch outside in open flame kitchens. I heard teachers from both sides of the line say it’s hard for every child to have a high quality education when the conditions of schools are so different. 5. Teachers inspire learning by example. My friend and principal, Phuti Ragophala has a saying at her school: Make Every child a Star. When her school opened in 1966, it had 66 students, 4 classrooms and 2 teachers. Now in 2015, it has 1252 students, 21 classrooms and 34 teachers. The classrooms are crowded, but the children hear every day that they are valued – that they are each a star in their own right. Teachers inspire their students with how they dress, walk, talk and teach. They are grooming stars and future leaders and take this job seriously. 6. Reading for enjoyment is a new concept. 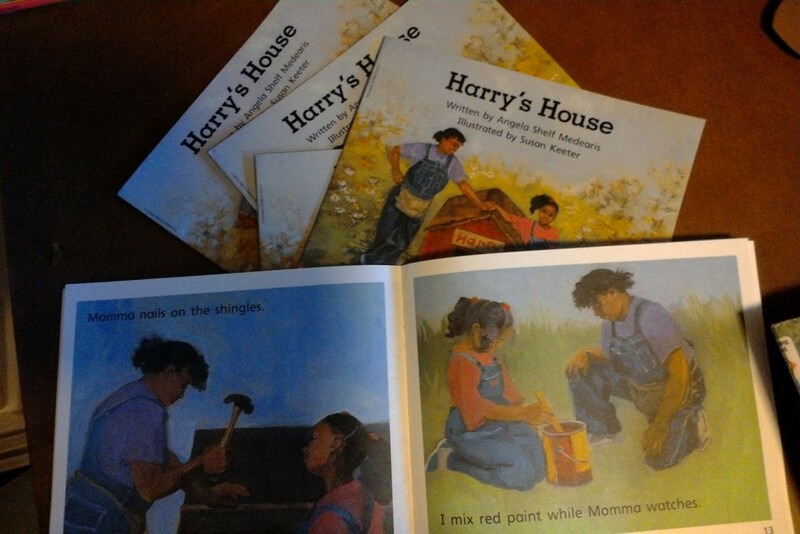 I spent countless hours reading to my daughter and showing her by example how joyful reading can be. She is now what I call a joyful 21st century reader. She reads eBooks while exercising on the treadmill. I still sit with my hardcopy book on the couch because I need to touch the pages. What we have in common is experiences with reading because it’s a valued part of our family’s culture. However, the concept of reading for enjoyment seemed to be new to the children I worked with. Their cultures emphasize oral storytelling, and having books at home to read for enjoyment is vastly different from reading a workbook to complete homework assignment. When I read stories aloud to children in the classrooms or outside on the terrace, the children were hungry for more. Children need and want stories. 7. The children need books for their school libraries. 8. Teachers want to learn new teaching techniques. I was nervous about whether teachers would accept me as an equal when I visited their schools. I didn’t want to go in as the American know-it-all and alienate my peers. What happened is the teachers asked me for ideas on how to use story books in lessons. They asked me for tips on integrating technology in schools with limited technology and internet access. They asked me how they could use the materials given to them by the government because they hadn’t had training on how to implement them in the classroom. In most cases, the teachers asked to see different teaching techniques. You can’t change if you aren’t given the tools. The teachers want the tools. 9. This program needs to grow. As I left one of the schools, a couple teachers and many students said something that’s ingrained in my memory. “Don’t go home and forget us. We need your help!” Our work in these specific schools is having an amazing impact on their education. 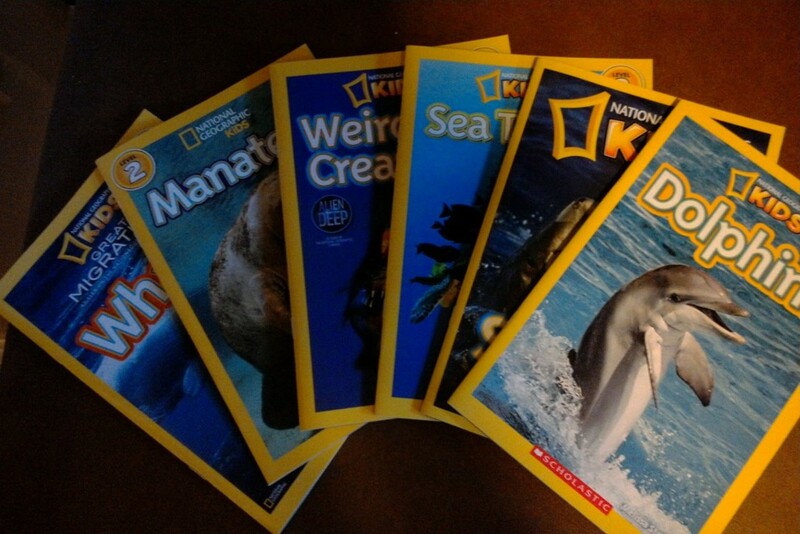 Somehow, I need to grow the program, so we can send them more reading materials. I’m a teacher, not a fundraising guru, so I definitely need advice and help from others on how to make our Books to Africa more impactful. If you have ideas, please share them! I saved the animal take-away for last because it was the last thing I did in South Africa. Rod and Desire Dunstone with Louise MacLeod, three of those generous people from lesson #1, took me for a weekend to the Hluhluwe Imfolozi Game Park in northern Kwa-Zulu Natal. These two reserves have over 120,000 acres of land for animals to live and roam naturally. Rod drove us for hours down the red-dirt roads and patiently stopped every time I squealed, “Stop! I need a picture please.” I was overjoyed with every rhino, giraffe, elephant, buffalo, warthog, zebra and antelope sighting. I don’t know if I’ll be able to go to a zoo again after seeing giraffes nonchalantly eat leaves from a tree only a few feet away from our vehicle. Between the Lion Park in Johannesburg and this game park, I was able to see 4 of the African Big 5 animals: lion, elephant, buffalo, and rhino. Maybe next time I’ll see a leopard! Yes, this trip is one I will never forget. I just don’t want to call it a “once-in-a-lifetime” trip because I want to go back. Here is a short video of the highlights. Phuti Ragophala, Principal of Pula Madibogo Primary School in Limpopo Province, also made a video of our collaboration. Hurray! 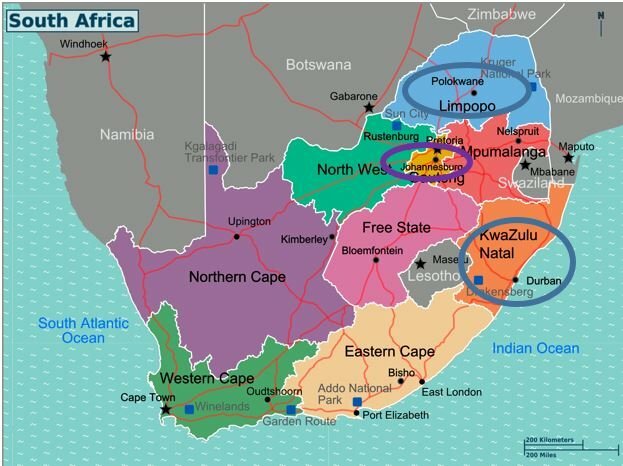 The waiting is over – I’m in South Africa! It was a challenging trip to be sure. The first leg from Seattle to Dubai was 14 hours of flight time, plus the two hours of being at the airport waiting to get on the plane. Leg number two consisted of 4 hours sitting around the Dubai airport and 8 more hours flying to Johannesburg. You can do the math, it’s a long trip. However, something quite magical happened in Seattle. I was upgraded to Business Class on the 14 hour flight with Emirates. A seat that lays out like a bed, white linen meals, a large TV screen – in other words all the comforts of home on a plane. I got it for FREE! If I never experience business class seating again, I am beyond thankful that I had the chance on a 14 hour flight! So, now I’m here in Johannesburg and the first day in, I hit the ground running. 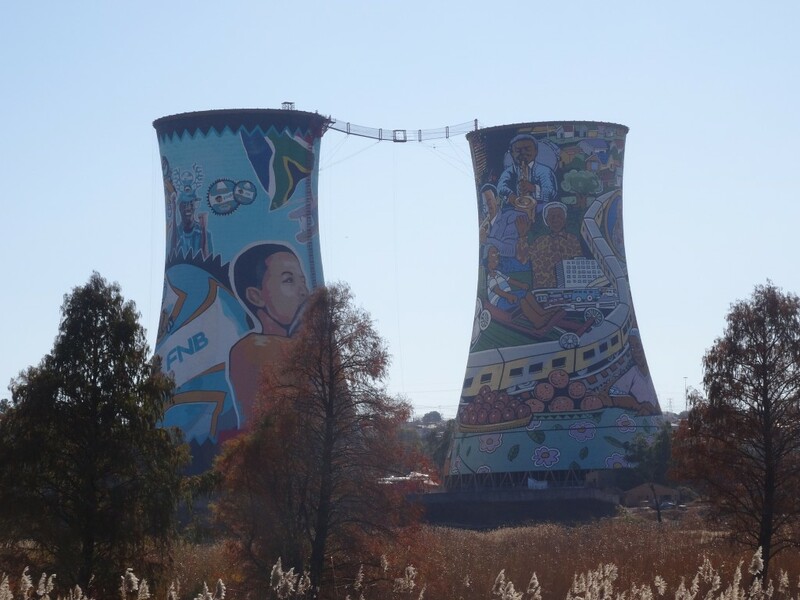 Johan who owns African Timeout Tours gave me a private tour around the sprawlingly massive series of townships collectively called Soweto (South West Townships). 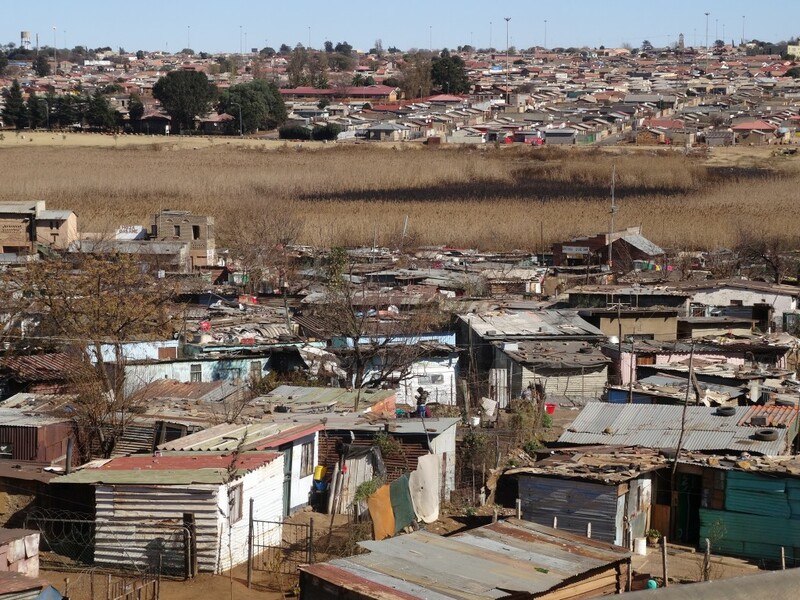 Most Westerners looking in with only media hype as their frame of reference, view Soweto as a dangerous place of squalid living conditions. Yes, there are shacks and you will see women washing their laundry outside in a large basin, but that really isn’t the norm. What is in Soweto is a vibrant community of people, many of whom could live in other neighborhoods, but choose to live in Soweto because of its sense of community. Generations of black people have lived there from the gold rush era of the late 1880’s to now. 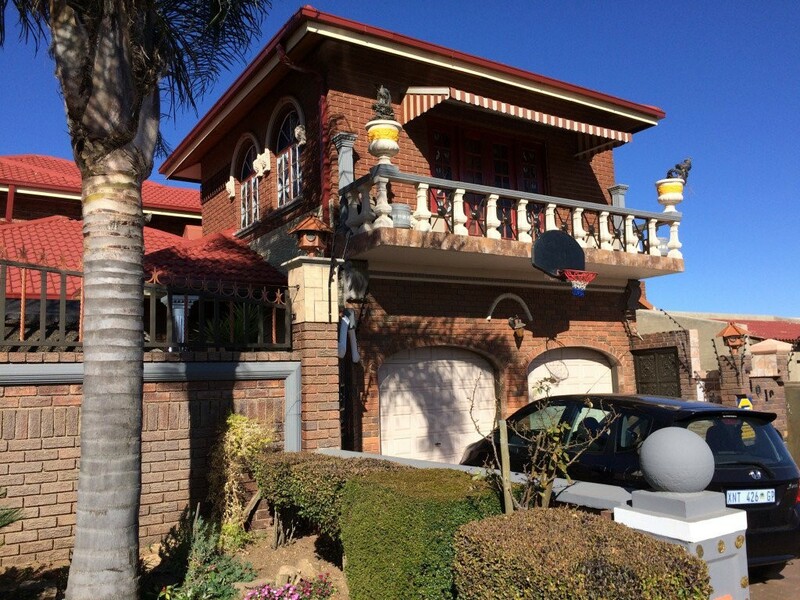 This area is best well known for being at the forefront of the struggle against Apartheid. 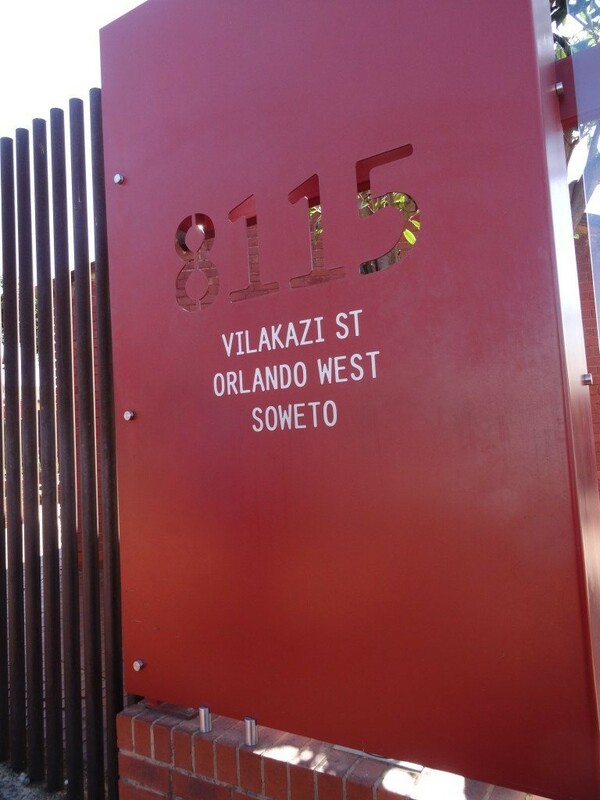 Vilakazi Street is the only street in the world where two Nobel Peach Prize winners lived (Nelson Mandela and Desmond Tutu). 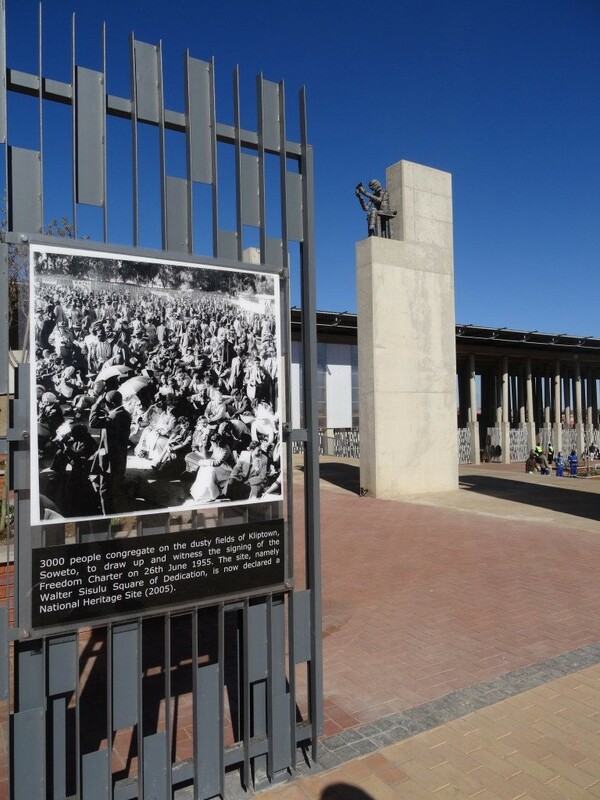 We visited Walter Sisulu Square in Kliptown, home of the Freedom Charter monuments. Parts of the square were brand new and I enjoyed holding hands with Nelson Mandela. 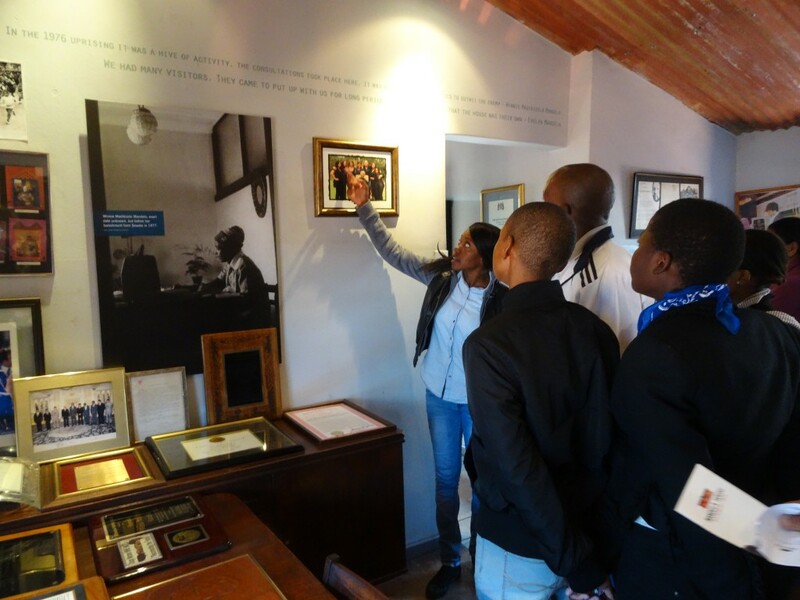 All day long we drove to the historical places that make Soweto so famous – Orlando Towers, the Mandela House Museum, and the Hector Peterson Memorial and Museum, named after the 13 year old boy who was shot dead by the apartheid police with hundreds of other school children during the protests of June 1976. The history lesson was great, but my favorite portions of the day were witnessing everyday life in Soweto and having lunch with the locals. 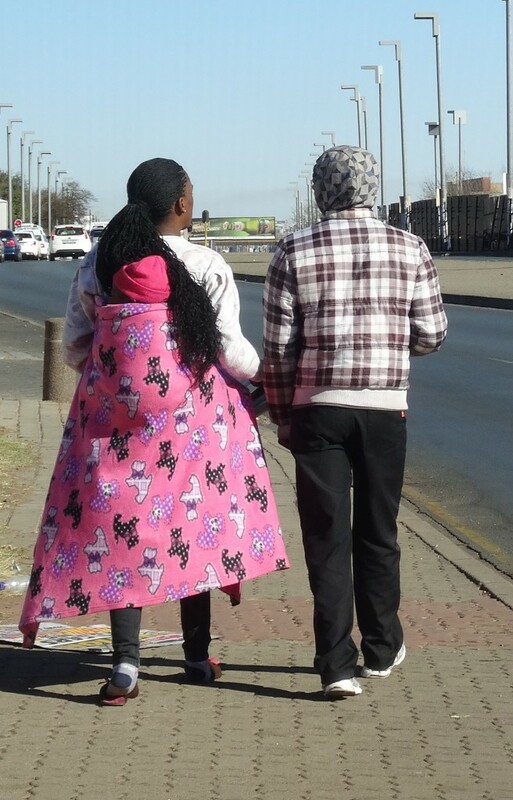 In the northern suburbs of Joburg, you don’t see many people walking around. Huge walls loom everywhere and it feels closed to me as a community. In contrast, when driving around Soweto people are everywhere. Whether they are selling their wares at an outside shop, walking to buy groceries, visiting with friends, working or taking the infamous taxi vans with the complicated hand signal system to work, you see people who give off the vibe of optimism and hope. Every house was a wall just like in the suburbs, but the walls don’t close people off from one another. It’s equally possible to see tin shacks with goats grazing nearby and then drive a block and view large affluent brick homes with children playing with their iPad in the front. Apartment buildings are not common, and some of them are brand new, empty and waiting for tenants. My understanding is that most people want to own their own house on their own piece of land. We had a buffet lunch at Wandi’s Place. Wandi is a shrewd business man who has built up a very popular restaurant, but has also worked to improve the infrastructure of the area with new sidewalks, school upgrades and a neighborhood park. 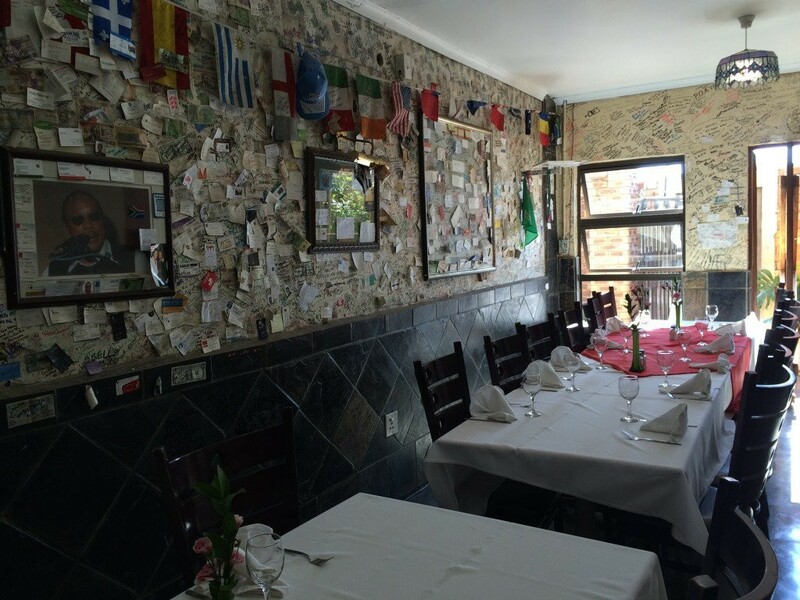 Lunch was typical South African food and we sat at tables covered with white linen. Reflecting on my day in Soweto, I realized that the experience was nothing like I anticipated. 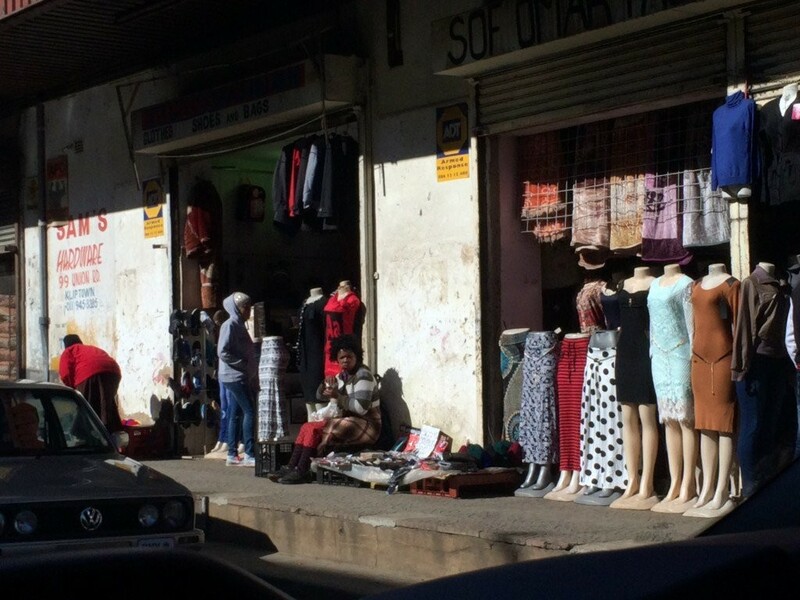 I hopped into the tour van with preconceived notions, and returned hours later with a new sense of life in Soweto. Like anywhere else, it’s complicated. 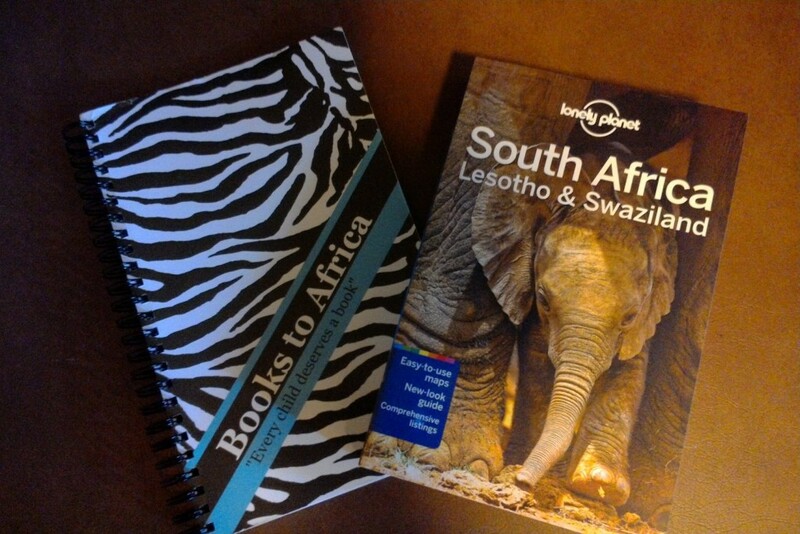 It won’t be long now until I fly off to South Africa for three weeks and visit the schools where we send books in our Books to Africa program. In my last post I listed the books that absolutely must go in my suitcase. I hope to read most of them with the students I meet and most of the books will live in a South African school permanently. For the past few weeks I have been researching, asking fellow educators and using my experience to decide what technology tools I need to make this trip more efficient and less stressful. 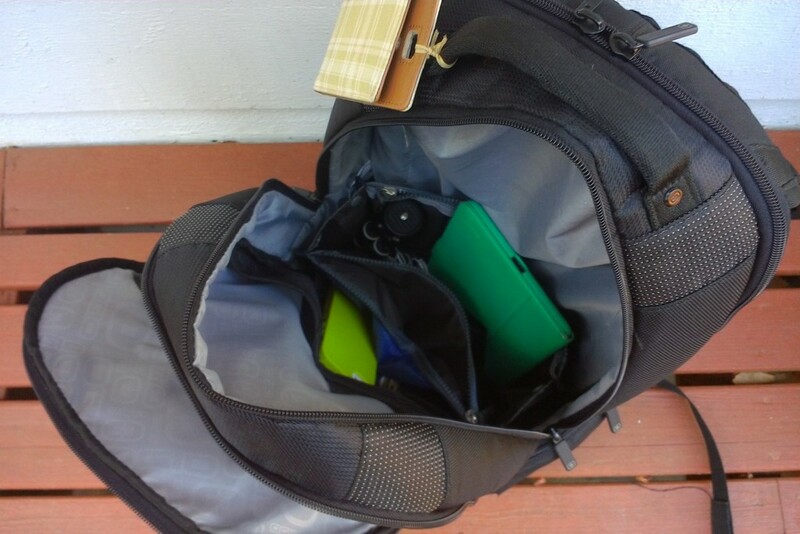 I was inspired by Kurt Soser, a Microsoft Expert Educator from Austria, who wrote a post in April “Traveling Geek Style” listing what he was bringing on his trip to the E2 conference in Redmond. I’d never used some of the tools he was bringing and I was curious to learn if I needed to take some of his advice. A few dollars later, I think I have what I need. I love, love, love my Asus laptop computer. It’s fast, has a touch screen and Win 8.1. When I bought it three years ago, I thought it was a lightweight laptop and perfect for traveling. A few years later, cool tablets running 8.1 arrive on the scene and suddenly my laptop feels like it’s heavier than a boat anchor. I already have an iPad, but I don’t use it for heavy-lifting computing. Thank you Microsoft for timing the arrival of the Surface 3 to coincide with this trip! I now have what I need for presentations, blogging, video creating and reading. I can use my Bluetooth mouse and my digital pen. One frustration I have had traveling and attending conferences is battery life – or the lack thereof. Inevitably my tablet or iPad or iPhone runs out of battery in a place where I have no access to electricity. With a 26 hour travel time between Seattle and Johannesburg, I knew I needed to address this problem next. I didn’t even know there was such a thing as a powerbank until I read Kurt’s post. Ta-da! Battery recharging to the rescue. 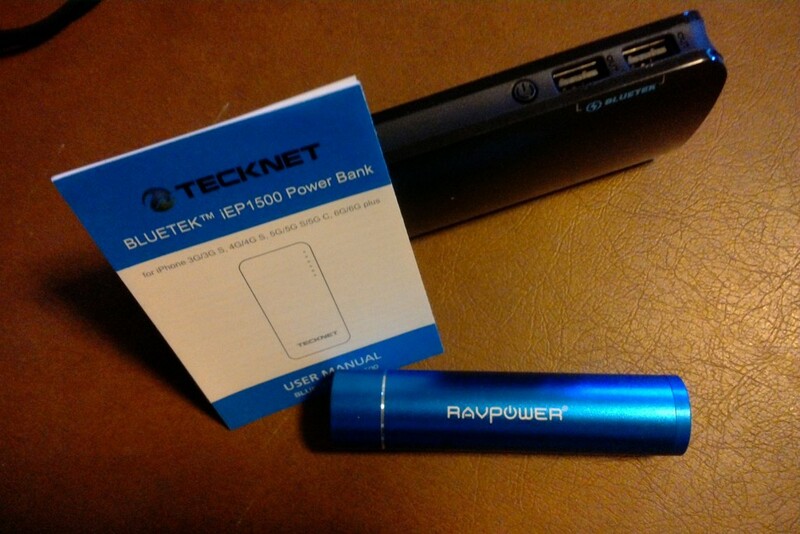 The TechNet Powerbank has 15000 mAh, so if all the reviewers are right on Amazon, this has enough juice to recharge my Surface with no problem. The small RavPower recharger fits in my purse and is perfect for pumping up my phone when I’m on the run. I love to take photos, but prefer to travel light. As much as I would love to use a nice beafy camera with a big lens for super shots, I’m not ready for that stage yet. A camera shoved in a pocket or small purse works just fine for me. Between the Sony, Canon and iPhone, I should be great in the photo department. 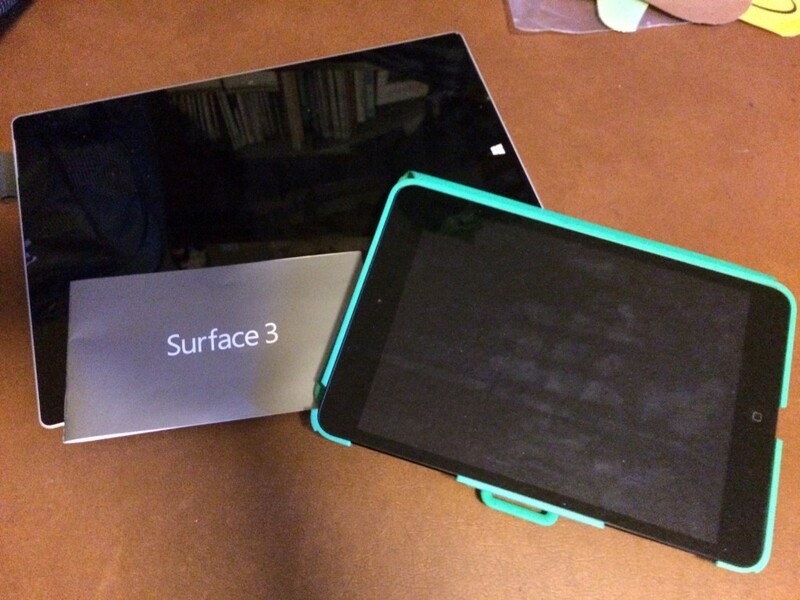 The Surface and iPad also have cameras, so if I have any photo issues, it’s my own fault. 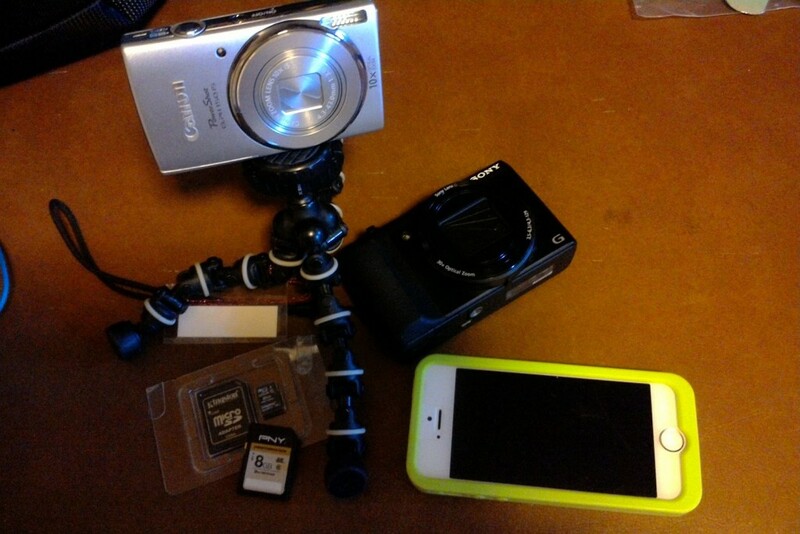 An extra SD card or two and a mini-tripod and I’m all set. Where there are electronics, there are cords. Masses of cords, cables, VGA adapters, plug-adapters, earphones, etc. Why can’t one kind of cord work to recharge everything? Is it really that hard? I understand the need for the country plug-adapter, but do there have to be so many? What works in the US or Europe doesn’t work in Africa or Asia. Go figure. The assortment of electronics opens up the problem of how to travel with it all and not loose something. I’ve lumped everything together in one bag before, but spent too much time sorting through the mess to find what I needed. 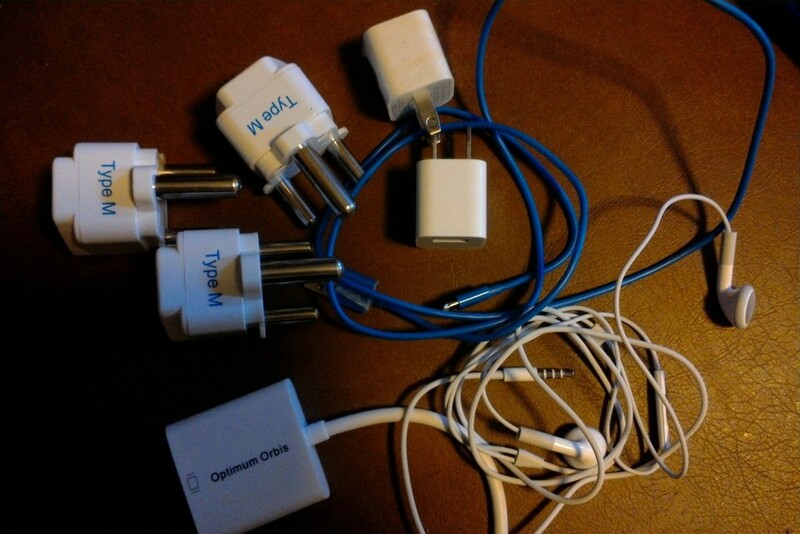 I don’t know where I saw it, but somewhere in my research I stumbled across bags to organize all the cords, plugs, tablets, powerbanks, etc. Just what I needed! 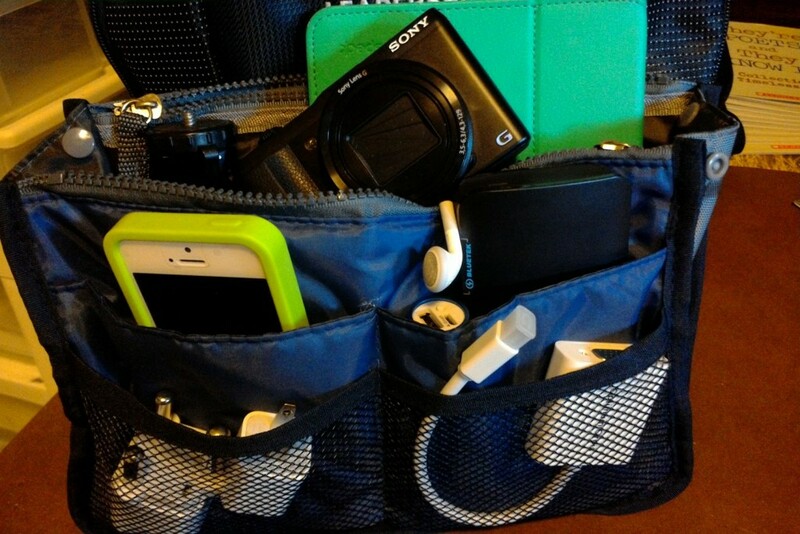 Of course when you call it an electronics accessories travel organizer, the price is $20.00 or more. If you call it a purse organizer, then the price goes down to under $10, it’s lightweight, fits the tablets, all the accessories, and fits inside one section of a backpack. I’m pretty excited about this solution by Hoxis! Between the books and the tech, I think I’m ready for this travel party to get started! I’d better not forget to charge everything up first. If you have any other suggestions, let me know. I’m still wondering where those clothes are going to fit though! Two weeks from today I’ll be departing Seattle for Johannesburg, South Africa! Wow! The time is going by so quickly and I’m trying to find balance between relaxing after a stressful school year, doing the household chores that I’ve put off for months and getting ready for my trip. I’m a total planning freak with lists of clothes I’ll need, piles of books, and boxes of “should I take these items”. This week I made a OneNote notebook with all my travel arrangements, so I have all the details in one place online and have the ability to print them for my family. No more sorting through emails to find the details I need. If you have never tried Microsoft OneNote, check out here. Instead of having a physical notebook, this is an electronic notebook where you can include photos, written documents, files, etc. The possibilities are endless and it’s a FREE download from Microsoft. You can access your notebooks from any device or from the web. You can also share your notebooks with other people, which makes it really convenient for sharing travel plans. Today I started the first part of what my friend calls the staging process. I set up a table and started organizing all the books I want to take in my suitcase. When you are a librarian, the anguish of deciding which books to take is real. I’m going to three different schools. Will I pick the right books for each school? I’ve had to forcefully tell myself, “stop it!” and know that whatever I take will work out just fine. The world is not going to fall off its axis if I choose a Piggy and Gerald and not Knufflebunny. The kids at school also gave me clear guidance as to which picture books they thought I should take. Here are the results. 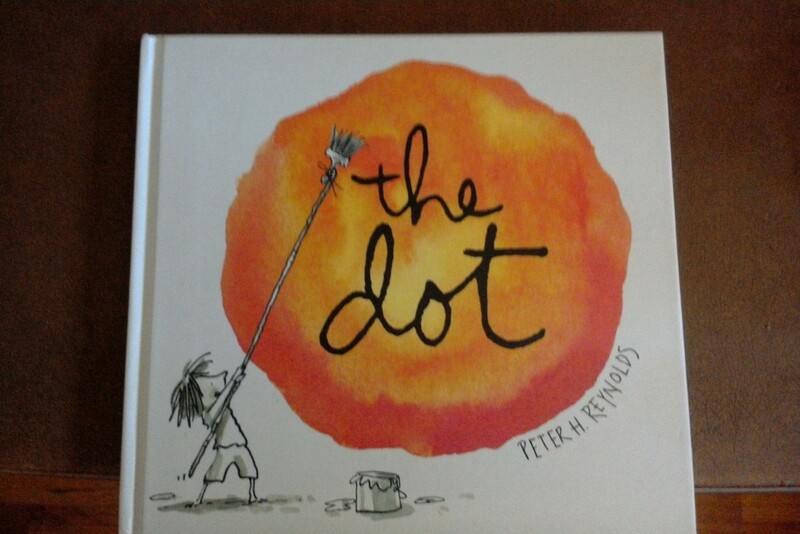 The Dot always travels with me. This story about how we all need to make our mark on the world inspired our Book to Africa project. When it comes to picture books, no other series are checked out more. 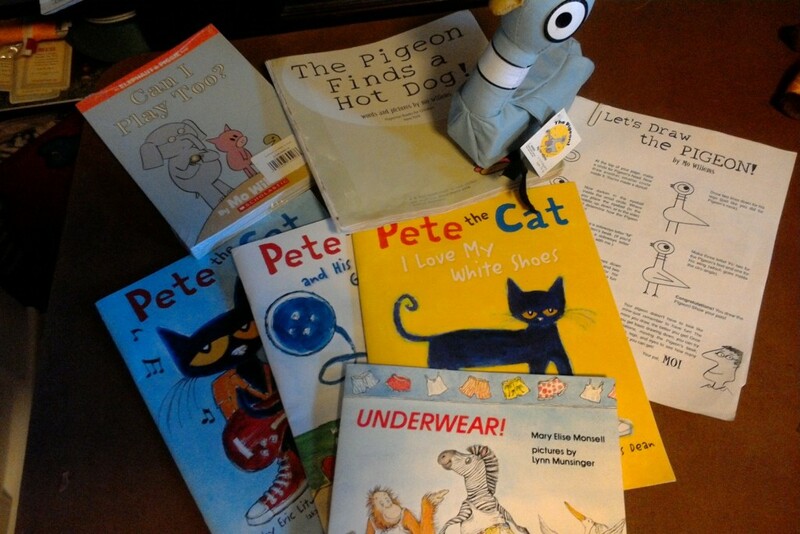 Pete the Cat, Piggie and Gerald, and Pigeon made the final cut. I also included Underwear because I had a copy and face it. A book about underwear is funny to all kids under the age of …..! Hum…it looks like Pigeon himself is going to make the trip too. Imagine that. I’m also bringing a set of books that can be used in a small group reading session and an oldie book with puppets for a reader’s theater. 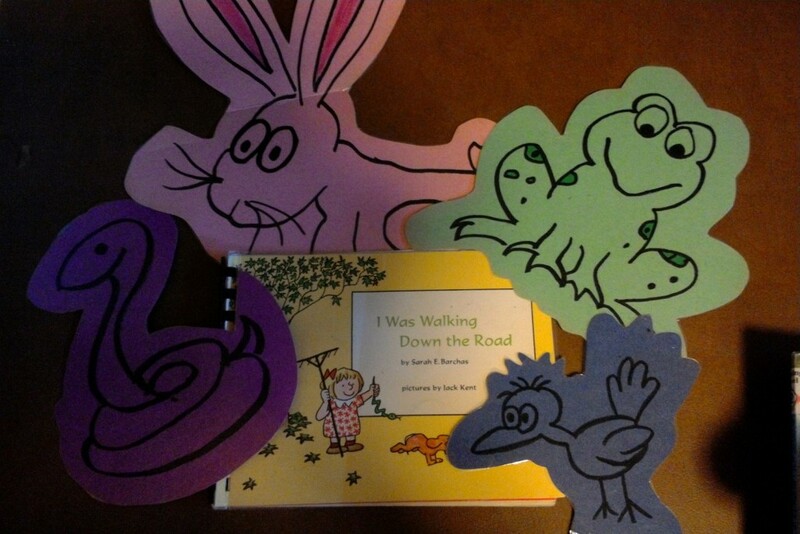 The text is great for early readers and using puppets to act out the characters is a stress-free method to practice oral reading skills. Of course, you can’t forget non-fiction. This set from National Geographic highlights animals that aren’t common in this part of Africa AND they are light-weight! A double plus in my department. 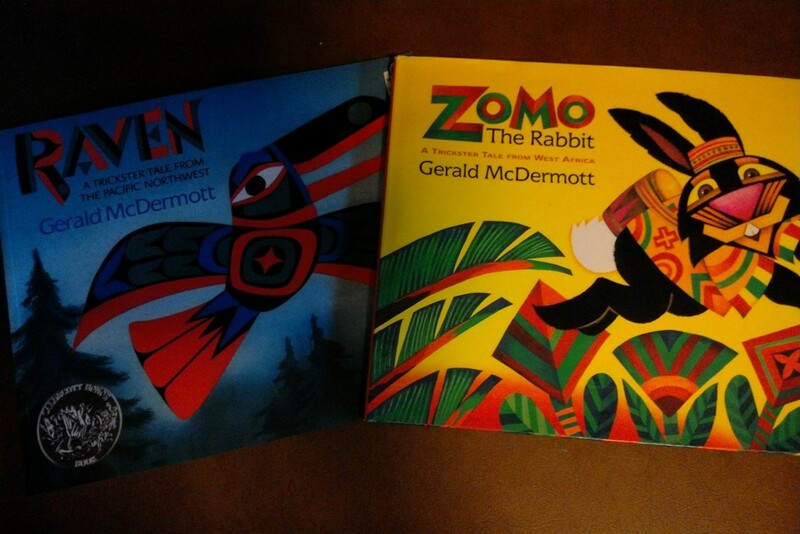 I love to use Gerald McDermott books to teach the importance of setting and how color is reflected in the illustrations. Raven and Zomo clearly showcase trickster tales from our different regions. I’m not sure how many opportunities I will have to teach, but I have to have these just in case! 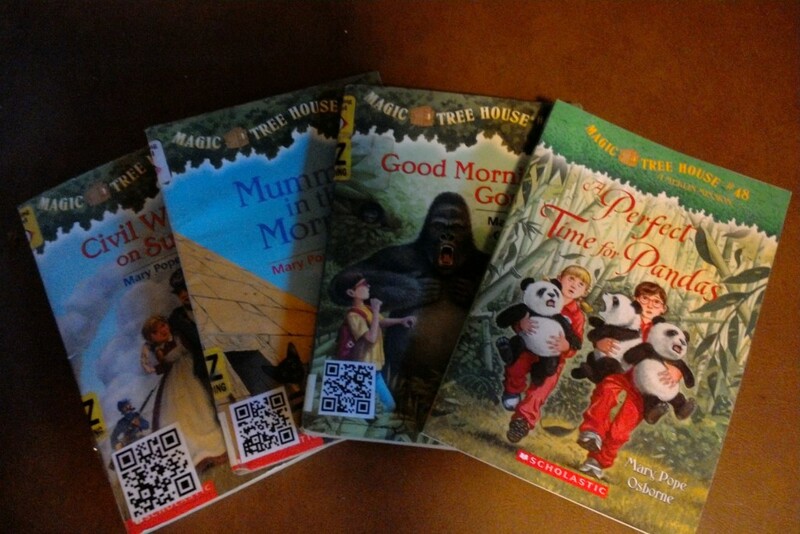 For the emerging chapter book readers, we chose Magic Tree House because you can’t go wrong with Jack and Annie, they teach you about different places in the world, and we have student made book trailers available for viewing. 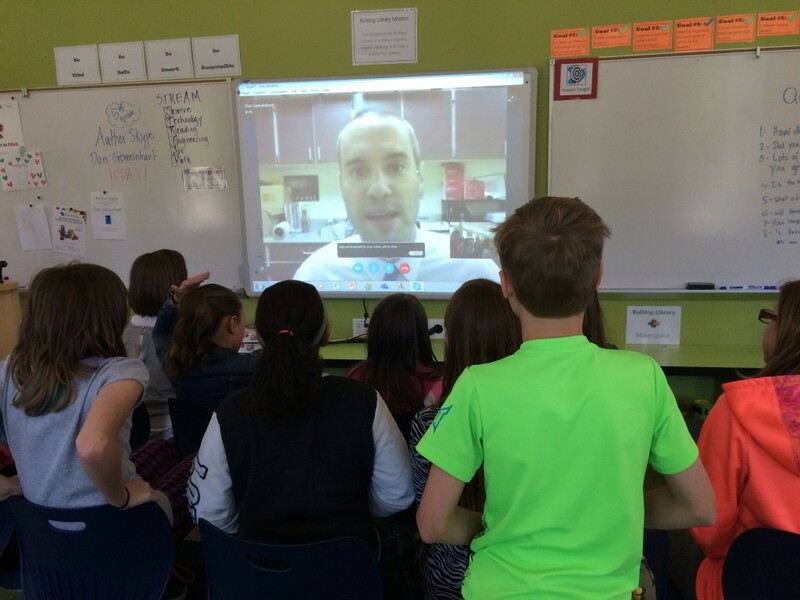 Dan Gemeinhart, an author and librarian in Washington state, Skyped with our students this spring. They talked for weeks about how awesome it was to talk to a real author and ask questions. 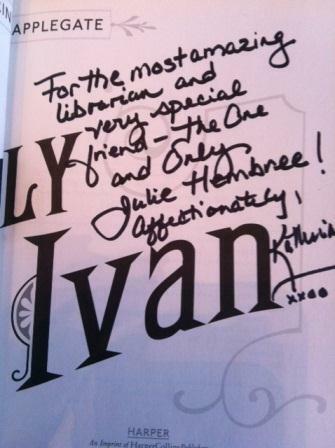 Dan gratiously sent me a signed copy which I am donating to the Highbury Preparatory School library. 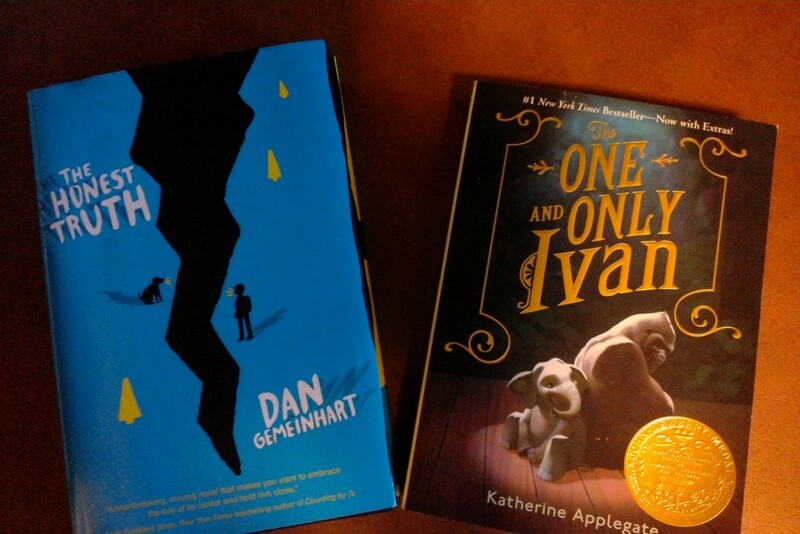 I hope to show the book trailer I made of this book and photos from when Katherine Applegate came to our school. 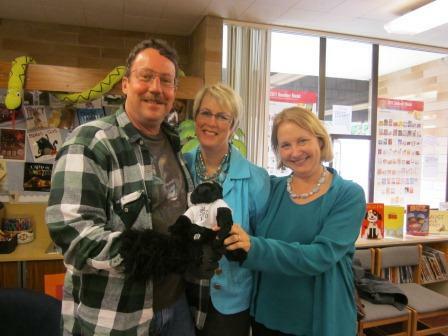 I still pinch myself to think that we hosted a Newbery author at our school. There’s NO WAY this book wouldn’t be in my suitcase to hand to a new set of readers. Oh yes, I’m also going to bring a travel guide and a journal in my backpack for obvious reasons. I like to journal while I travel, if only to keep track of what I did and when it happened. I’ve learned from experience that the details that you thought you would never forget go flying out of your head in record time. I wonder if you are asking, what am I reading on the plane? I don’t know yet. I’ve been making that list too. I definitely will be downloading a bunch of e-books to read on my iPad or Surface for the 24 hours of airplane time I’m going to have each way. So that’s it. Twenty-five books…and that’s the short list. In my next blog post, I’m going to cover what tech tools I can’t live without. Yikes! I’m beginning to wonder if I’ll have room for clothes in my suitcase. The good news is most of these books are staying in South Africa leaving me lots of room for souvenirs. What books would you take? Please leave a comment and let me know. To keep following my posts about this South Africa trip more easily, you can subscribe to receive email notifications (see box on right side bar near top of this page) or look for the hashtag #bookstoafrica15 on Twitter, Facebook and Instagram.